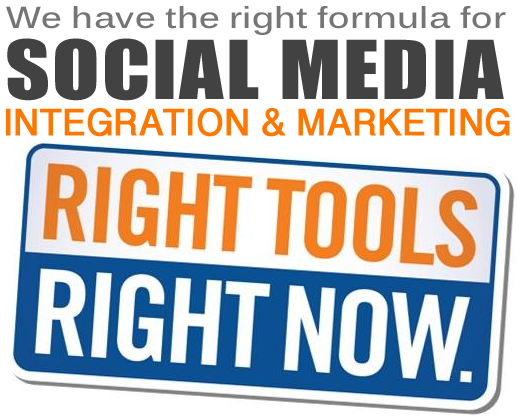 Social Media Tools are fast developing as effective marketing tools for most of the small businesses. Online Marketing companies are turning to the Social Media to highlight their products and services that they wish to market, as they find it easy to access and with a large, readily available, captive audience. The cost factor seems to have influenced the small business and large business owners who do not have a large budget allocated for advertising online. Hence, the social media has found favor among all the other means available online. There are several essential and effective tools available in the social media that help entrepreneurs who own business and running online businesses campaigns on Facebook, Twitter, and Google+ Plus or on any other Social Networking/Media websites. So in this post we are sharing the Top Nine (9) Best Social Media Tools for Effective Social Media Marketing, Management and Monitoring that will help you achieve your goal. The obvious tool that comes to anyone’s mind, which is a favorite with most online marketers, is the special plugin Unlock to Share. As the name itself denotes, it is a basic plugin tool that opens up more content each time users wish to share your post on social media sites like Twitter, Google+ and Facebook. The great thing with this tool is that your content is quite secure and is open to others only when the targeted visitor wishes to either ‘share’ or ‘like’ it with the others he or she chooses. With increased tweets, likes and shares, your business is bound to increase rapidly. Most of you familiar with online marketing and social media should be aware of SlideShare, which can have a major impact on your marketing activities. As of now, however, only a few people use SlideShare, which could be due to non-awareness. SlideShare gets you a ringside view of what your customer is saying about your product or service. It is discussed in forums and blogs. Similarly Commun.it helps create healthy relationships with the users and groups of users on Twitter, who have the potential of becoming your customers. This free service actively monitors of the targeted followers and presents the information on a dashboard. It is a sort of ready reckoner that keeps you updated about who needs to be acknowledged, thanked and responded to. Almost every online marketer is aware of YouTube. Effective marketing is possible through videos that can be posted on YouTube, which are share amongst the users rapidly. You need to just ensure that the video is not too long and optimize it for your product or service. There are several short videos lasting just a few seconds that are doing several rounds on the internet and reaching out to a large audience. Just as this visual tool is effective, an equally effective tool is Cyfe. This effective dashboard app helps you gather the data that is strewn around in several social sites like Facebook, Adsense, WordPress, Google Analytics and many more. You can monitor the goings on at several websites and make use of the pre-built widgets to source your information from services like Salesforce and Google. A recent entrant to the field, though one that is not to be ignored is Cloze. It is a perfect system for aggregating and curating for social media network sites. Get details of activities of various users date-wise which lets you know whether it is too late or not to either respond or retweet, which can be done through Cloze interface itself. In addition to saving a lot of precious time, Cloze, that is available on beta helps reduce cluttering by keeping only relevant information in the inbox. Among the plethora of social media tools available, some like AgoraPulse stand out simply because of the affordability and efficacy. AgoraPulse helps manage your Facebook Page admirably. The several promotions and contests that have become essential features on all Facebook Pages are taken care of by AgoraPulse by benchmarking competitors and ranking fans. AgoraPulse also offers detailed statistics essential for any business and helps with workflow management. One social media tool that stands out by helping sales and business development teams share all relevant social media postings is GaggleAMP. This social media tool helps create groups that can decide the type of messages that need to be shared through the social media. With inputs from all the employees in the group, relevant information that is crucial for the business is bound to reach the targeted audience. With alert notifications about impending new content, the employees in the group have sufficient time to sort and filter the information before sharing it. 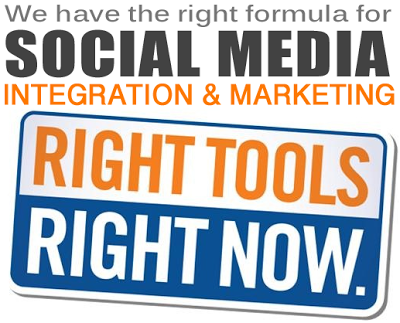 Another great tool that works well with Twitter and Facebook is SproutSocial. It helps get overviews of your accounts and details of the clients’ statistics that form part of the important data in social marketing. SproutSocial enables scheduling of content and comparing various Twitter accounts to glean more information. Similarly, Pinerly which has been rechristened as Reachli is a social media tool that acts as a great analytics tool for Pinterest. With Reachli, users can pre-schedule pins and keep updated on data offering feedback about rates for click-through and the total number of repins till date. The simple design enables organizing campaigns that can prove effective. Instagram has been discussed and dealt with earlier by many people on several blogs and posts. Instagrammers form a special group who help share information on the social media faster and more effectively. There is no dearth of interesting and witty comment and Instagram has proved to be one of the most effective social media tools ever. Similarly, one of the coolest social media tools you could ever come across is Buffer. This tool actually lets you schedule your posts and tweets in advance and ensures a perpetual social media presence. You save a lot of time as you can even schedule a week in advance, which ensures you of the minimum traffic that you can expect in the coming days. Let us close with a toast to SocialToaster, one of the best social media tools for advocating your brand effectively. SocialToaster has its own set of fans that is a great audience for any content that is brand-related. One can take advantage of the brand loyalty of most users to generate better revenues. This is one avenue that enhances the passion most people have for specific brands in the market. Overall, social media tools have time and again proved their efficacy and affordability as far as small businesses are concerned.